The Hotel is 2 minutes walk from the port, 10 minutes walk from the historical centre and it is 1,6 kilometers from the Tropea train station. 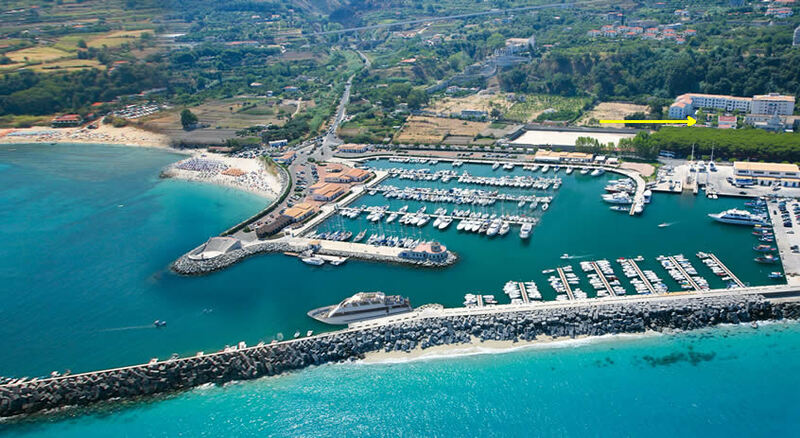 Vibo Valentia city is located less than 30 km away and Lamezia Terme Airport about 58 km away. – A3 Salerno – Reggio Calabria motorway, Angitola – Pizzo exit, 522 way, towards Angitola – Tropea. – A3 Reggio Calabria – Salerno motorway, S. Onofrio exit, 182 way, 18 way, 17 way, towards S. Onofrio – Tropea. Lamezia Terme Central FS Railway station (45 min).